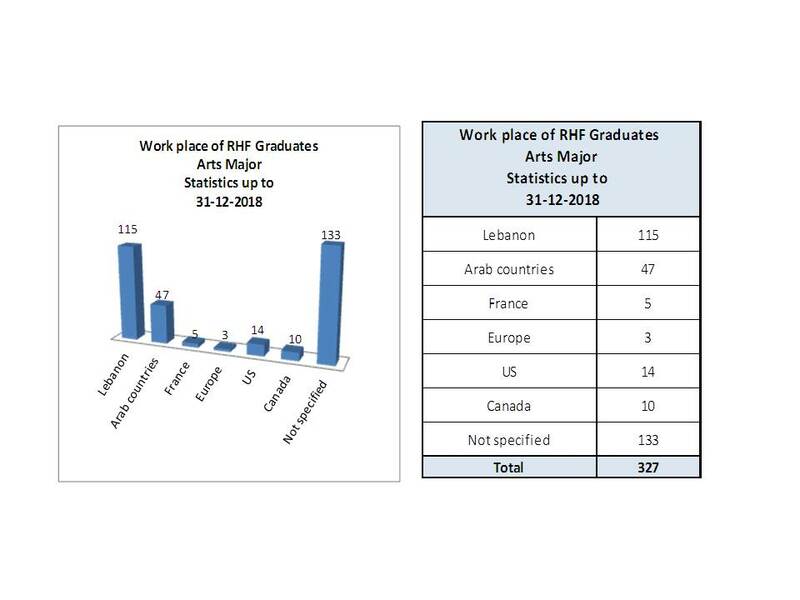 It is one of the most significant programs that has been administrated by the Rafik Hariri Foundation since its inception. It made it possible for thousands of students to pursue their undergraduate and post graduate studies and to be attended to, mostly with financial and moral support, career counseling and guidance. The financial support was intended to cover, in part or in full, tuition fees, housing accommodation, transportation, books, etc. all being in accordance with one's needs and on the basis of one’s academic achievement. 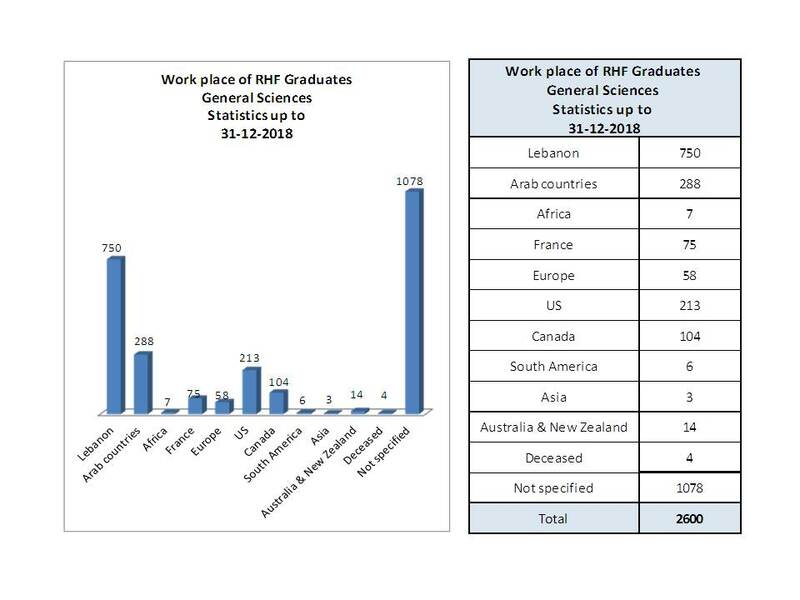 24227 holders of BS/BA Degrees in Human & Social Sciences, General Sciences, Engineering, Medical Sciences, etc. 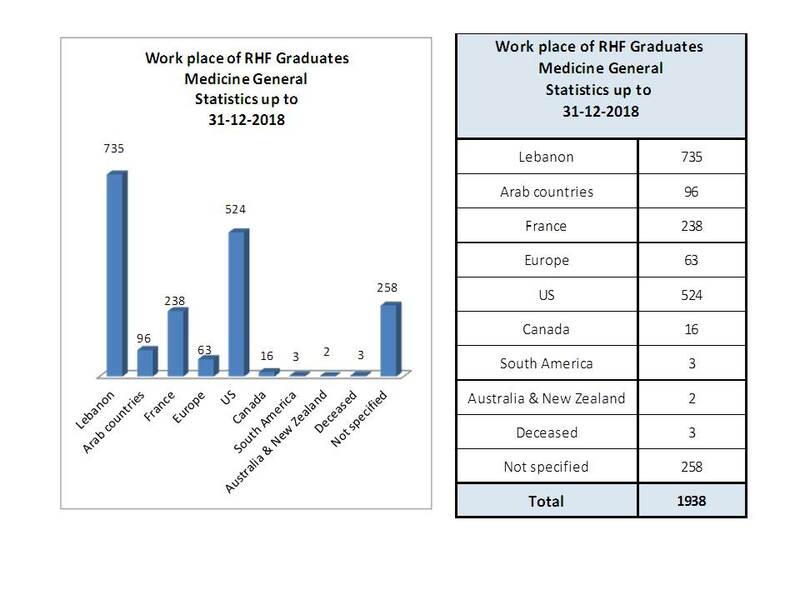 RHF students by region of study (1984 – 2012). 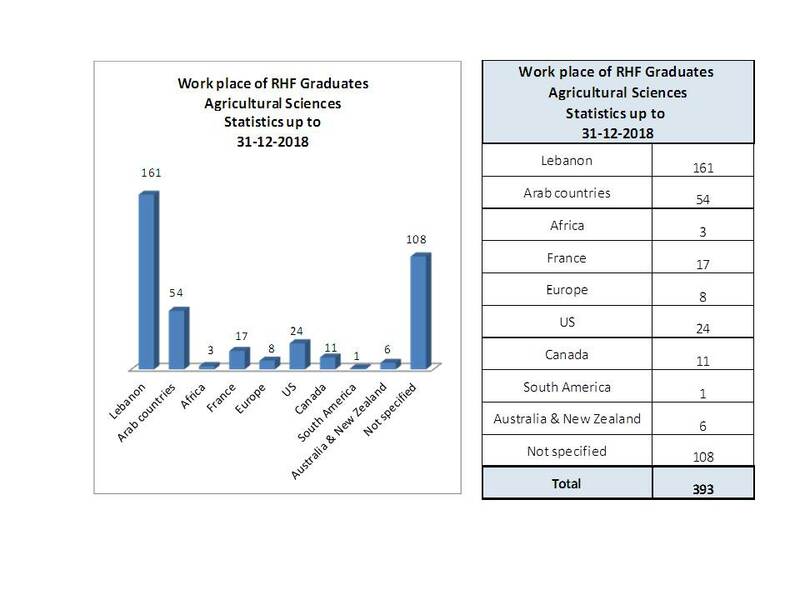 RHF students by country of study (1984-2012). 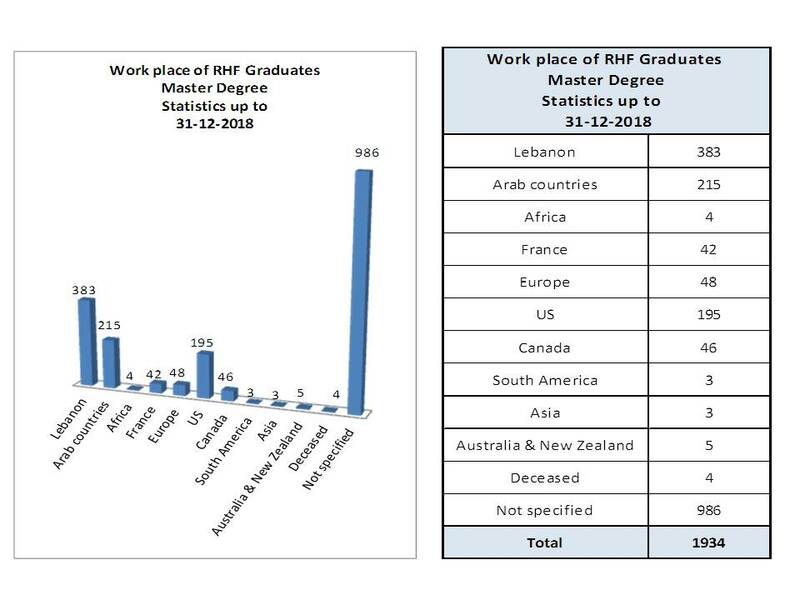 RHF Medical Doctors by specialty (1984 - 2012). 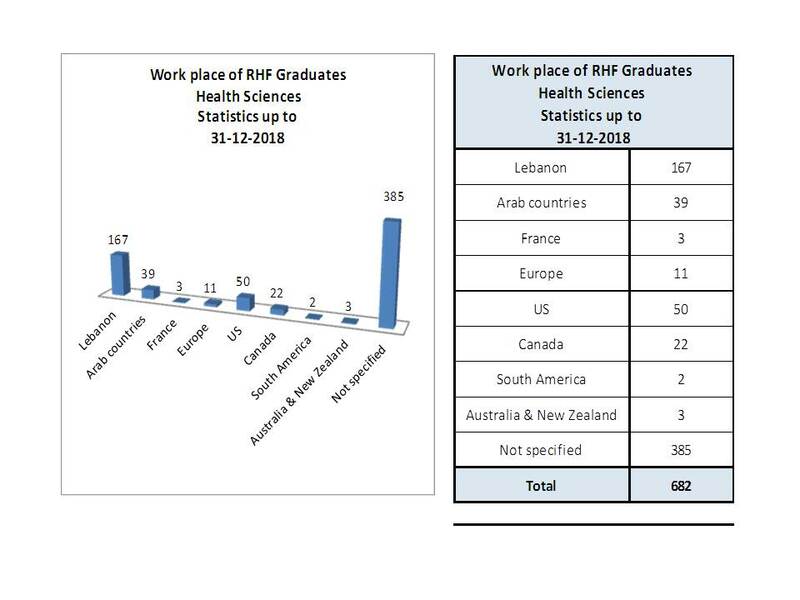 RHF Medical Doctors from North America Universities by specialty (1984 - 2012). 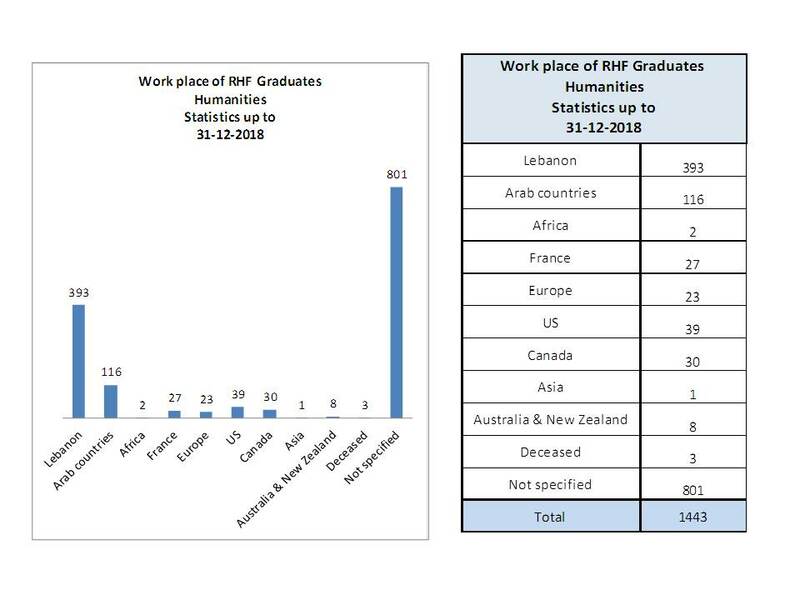 RHF Medical Doctors from Europe Universities by specialty (1984 - 2012). 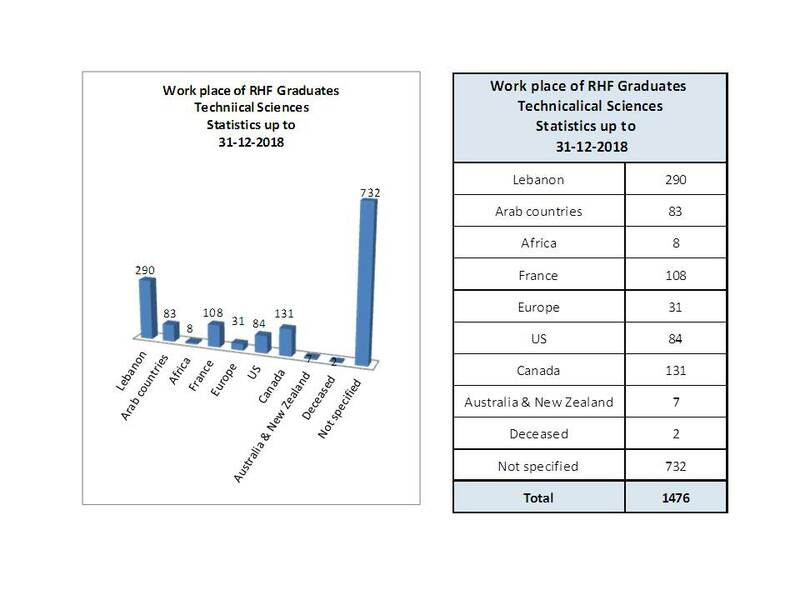 RHF Medical Doctors from A.U.B by specialty (1984 - 2012). 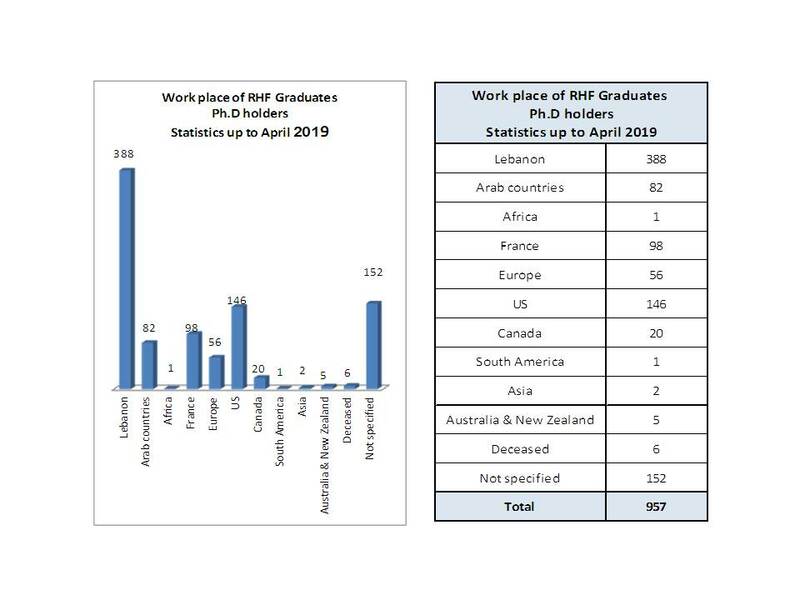 RHF Medical Doctors from B.A.U + Balamand University by specialty (1984 - 2012). 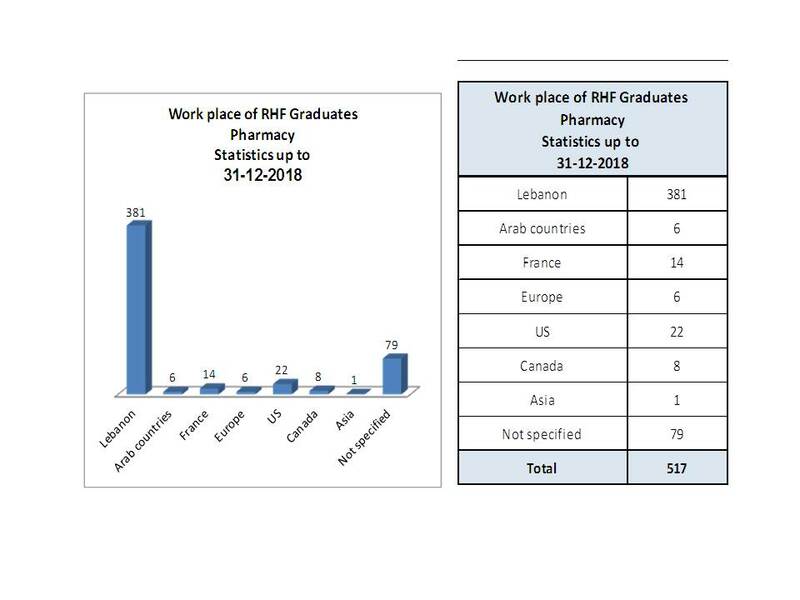 RHF Medical Doctors from U.S.J Lebanon by specialty (1984 - 2012). 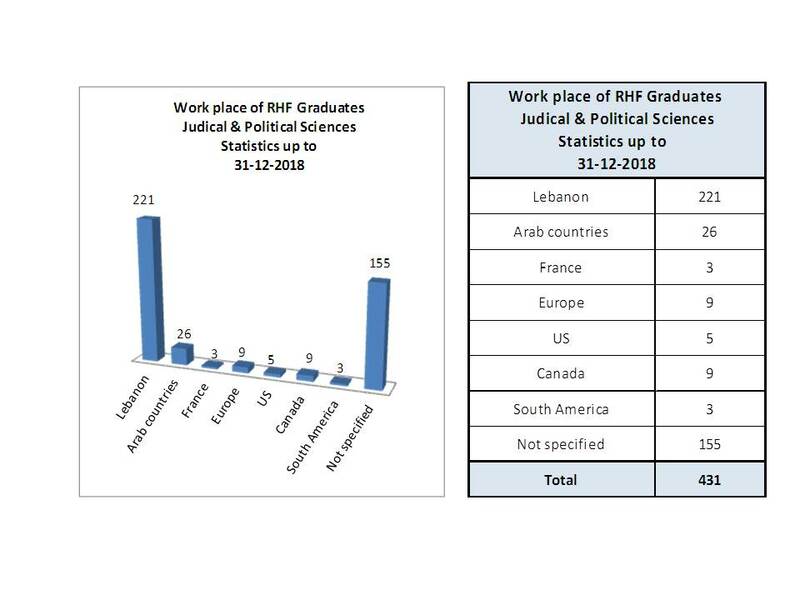 RHF Medical Doctors from Lebanese University by specialty (1984 - 2012). 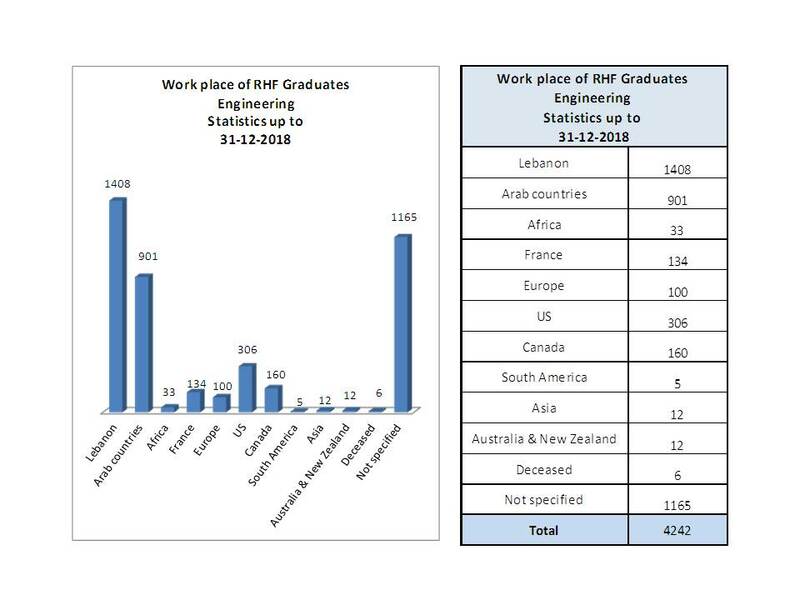 RHF Medical Doctors from Arab Countries Universities by specialty (1984 - 2012). 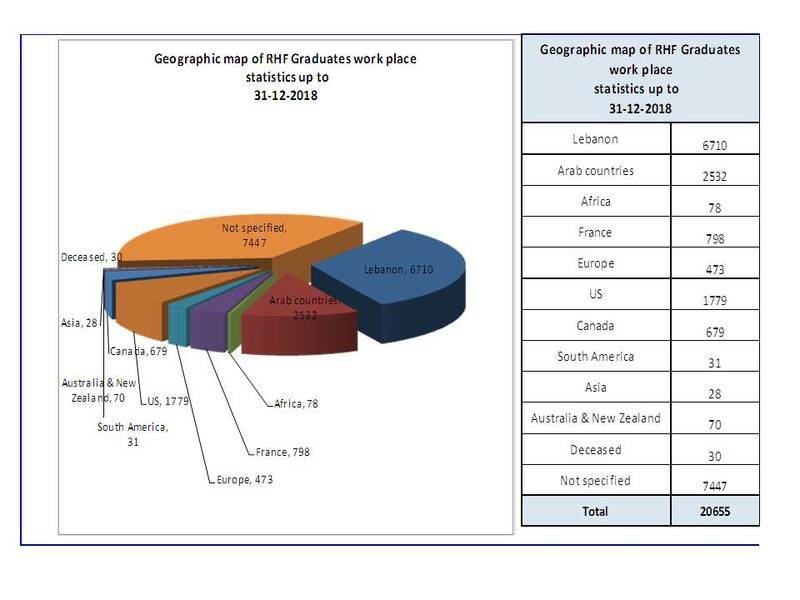 Ph.D. Holders by status of geographic distribution status as in 2013. Ph.D. Holders working in academic institutions 2013. 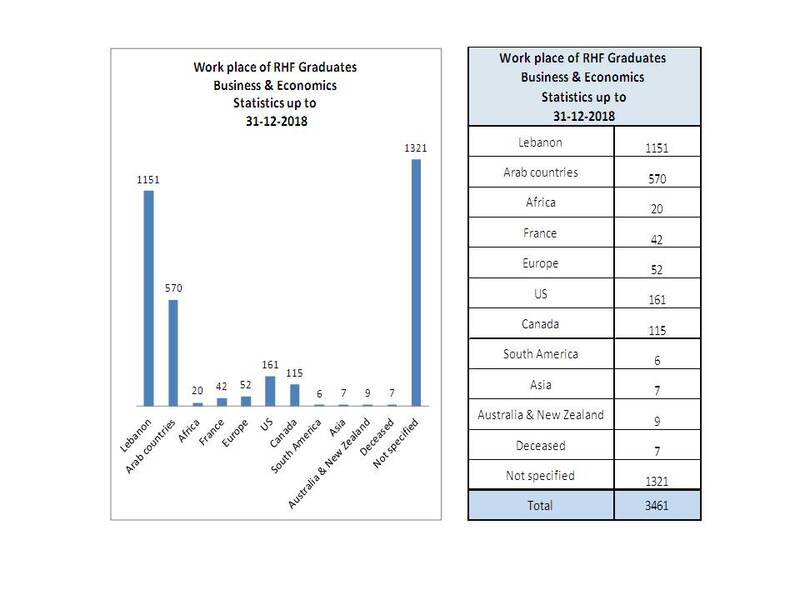 Ph.D. Holders working in non-academic institutions 2013. 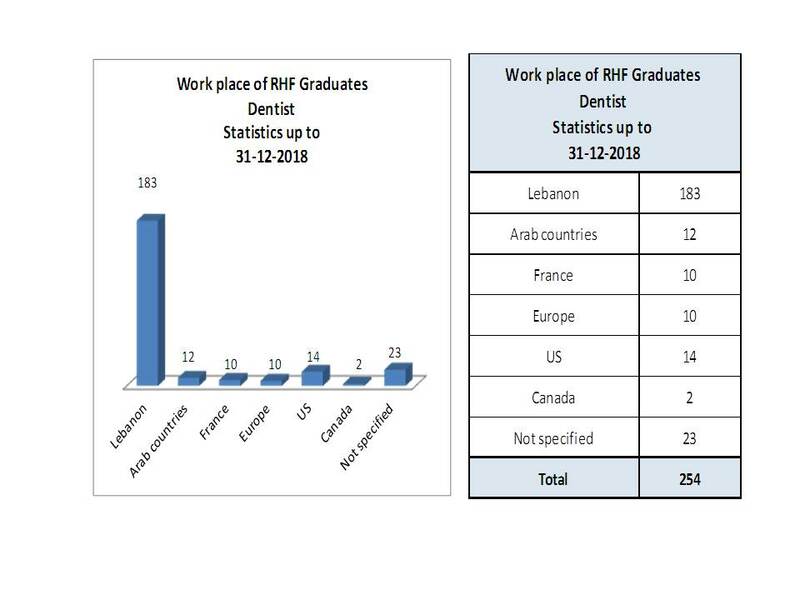 RHF Medical Doctors from U.S.J Lebanon in accordance with the current geographical presence 2013. Master degree holders in accordance with the current geographical presence 2013. Master degree holders according to current presence in academic institutions 2013. Master degree holders according to current presence in non academic institutions 2013. Master degree holders from U.S.A Universities in accordance with the current geographical presence 2013. Master degree holders from U.S.A Universities according to current presence in academic institutions 2013. Master degree holders from U.S.A Universities according to current presence in non academic institutions 2013. Master degree holders from Europe Universities in accordance with the current geographical presence 2013. Master degree holders from Europe Universities according to current presence in academic institutions 2013. Master degree holders from Europe Universities according to current presence in non academic institutions 2013. Students Holding Bachelor Degree in General Sciences per Region of study . Students Holding Bachelor Degree in General Sciences - AUB per major of study. Students Holding Bachelor Degree in General Sciences - AUB in accordance with the current geographical presence 2015 . Students Holding Bachelor Degree in General Sciences - USA & Canada per Region of study . Students Holding Bachelor Degree in General Sciences - USA & Canada in accordance with the current geographical presence (2015). Students Holding Bachelor Degree in General Sciences - Europe per major of study. Students Holding Bachelor Degree in General Sciences - Europe in accordance with the current geographical presence (2015).